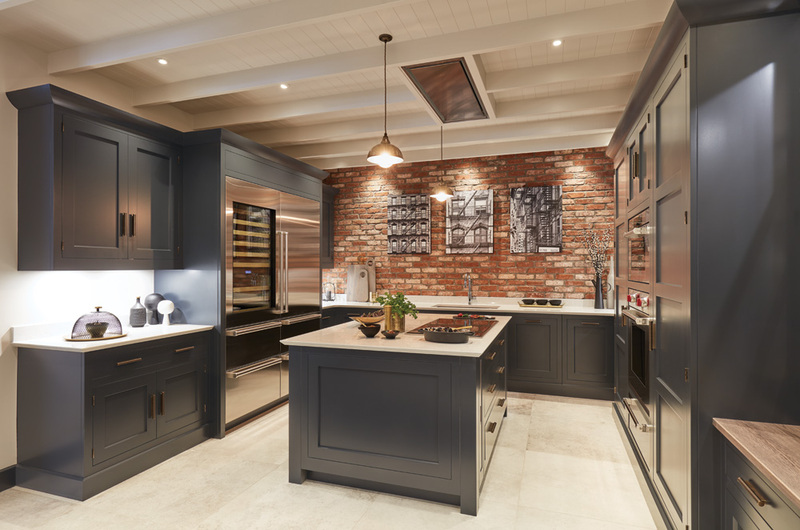 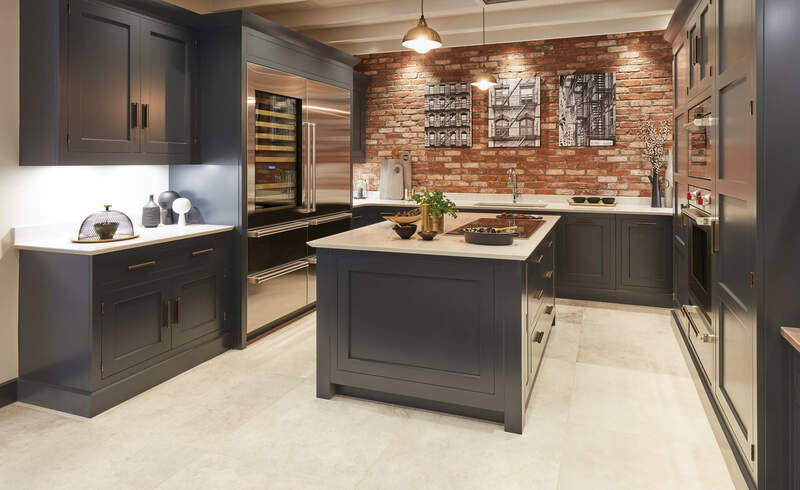 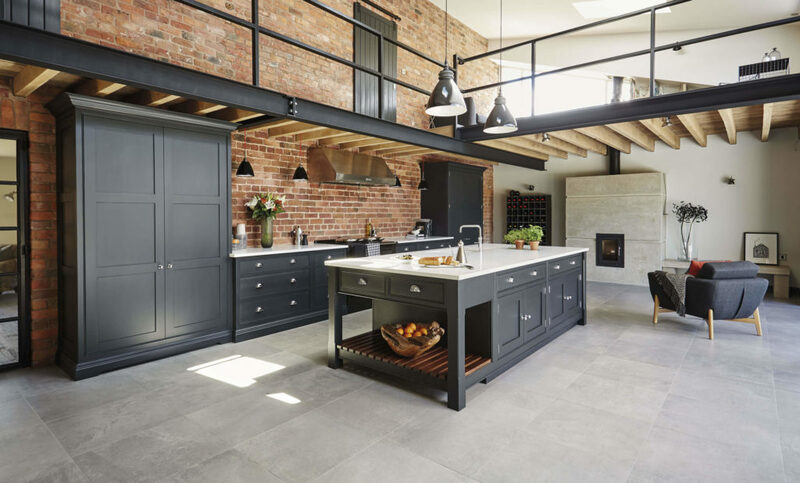 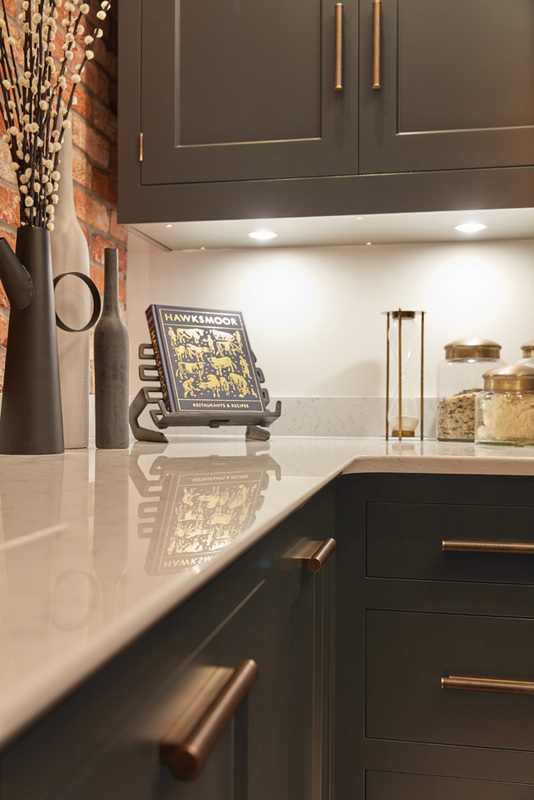 The raw exposed brick contrasts with the beautifully made cabinetry to create a warm look to this kitchen, a perfect place to entertain family and friends. 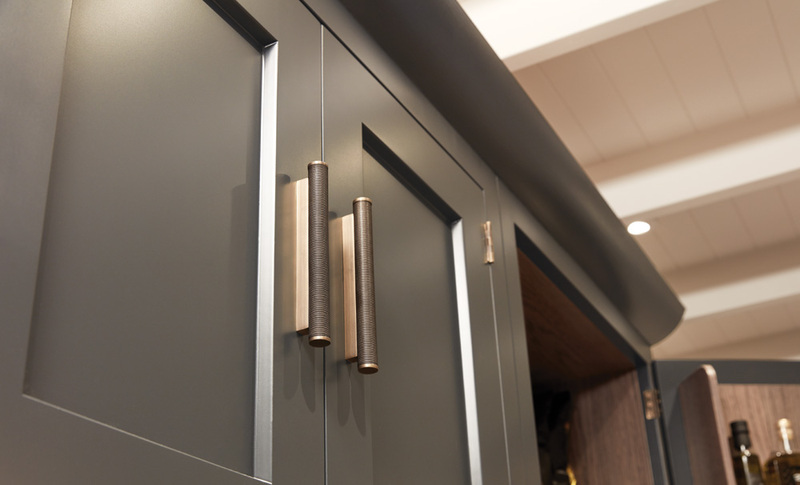 The wire scroll handle in burnished brass with matching hinges is the final flourish that perfects the design. 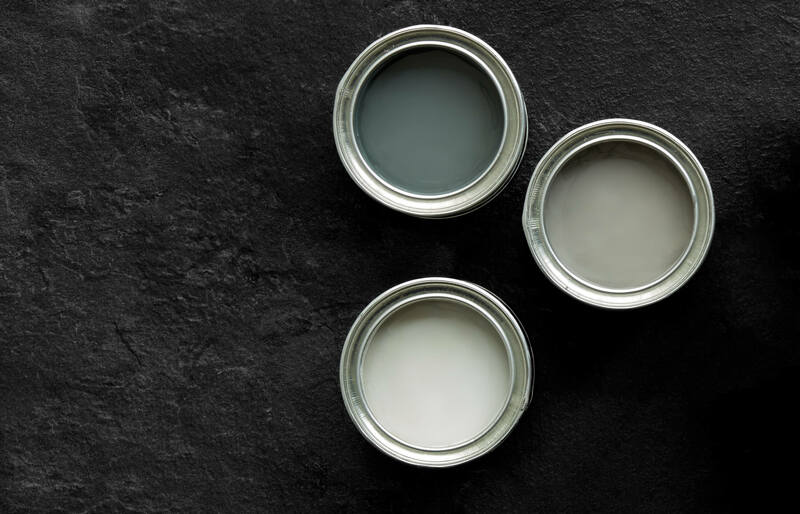 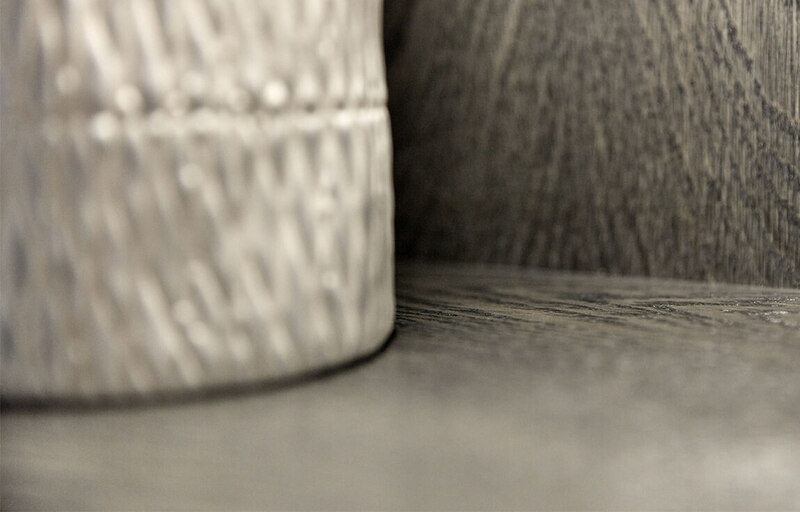 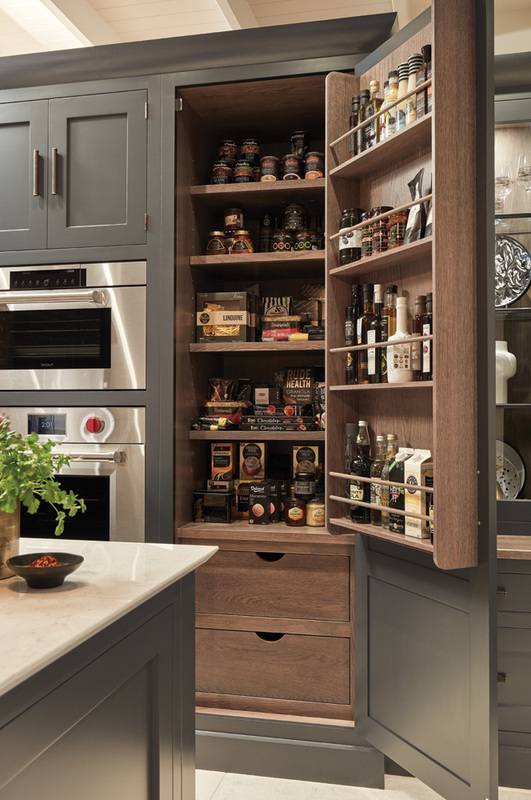 Our dusted oak internal finishes complement the ever popular paint colour Nightshade, brilliantly. 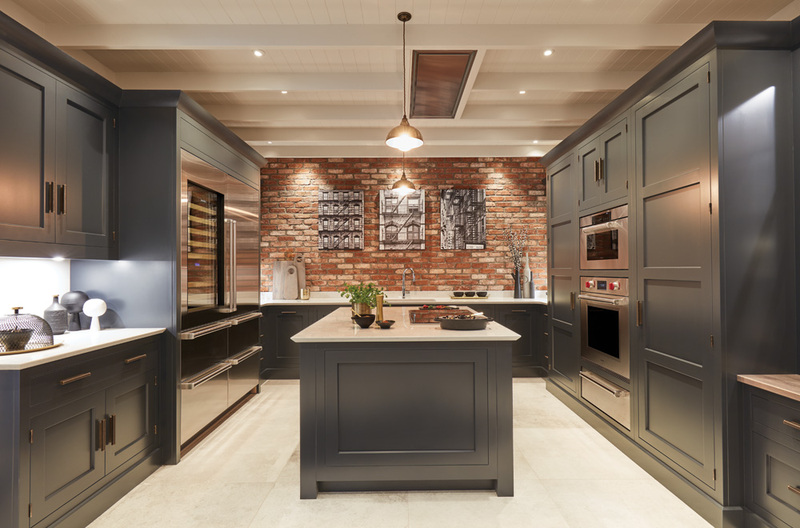 When combined with the warmth and raw texture of the exposed brickwork, you're left with a stunning colour scheme that works so well. 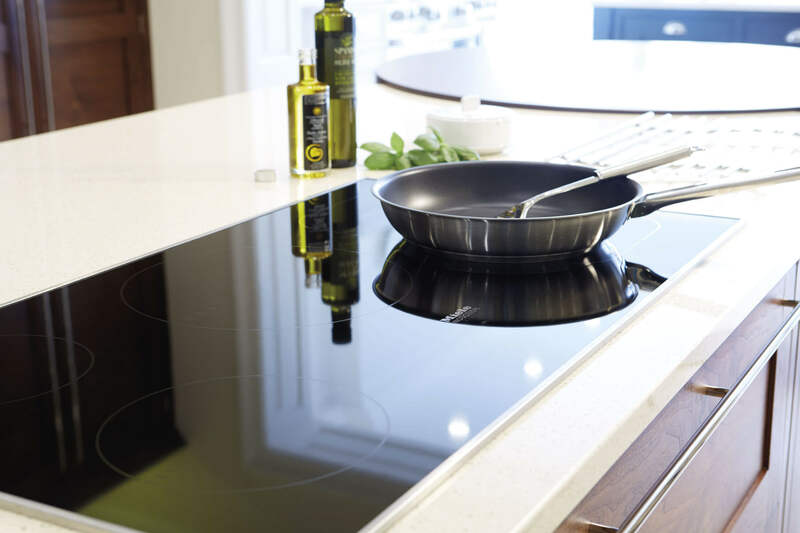 The sleek styling of this kitchen is enhanced by the top of the range Wolf Induction hob. 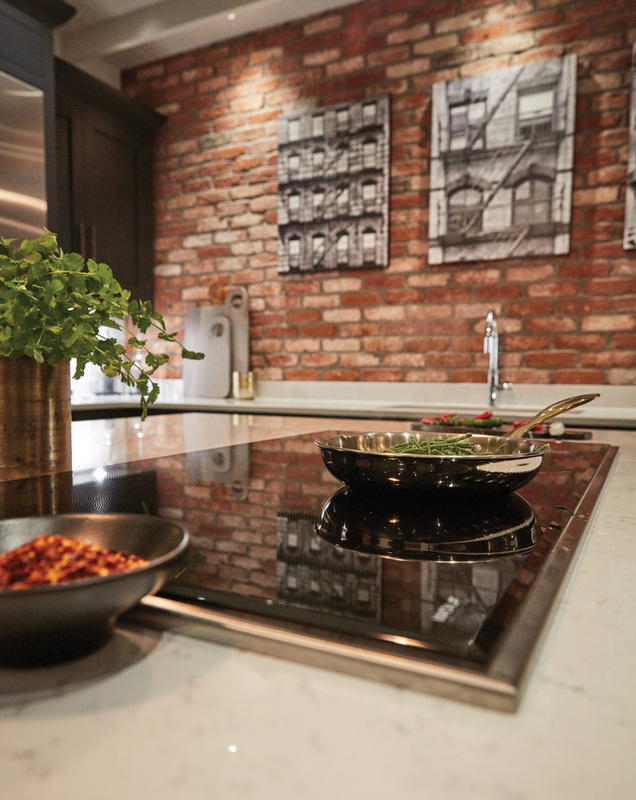 Cooking has never been faster or more stylish. 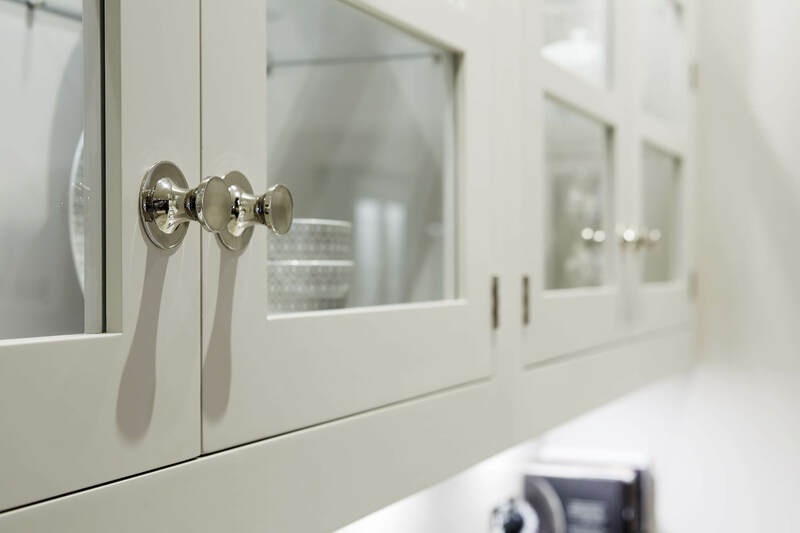 "Notice the subtle chamfer on each glazing bar. 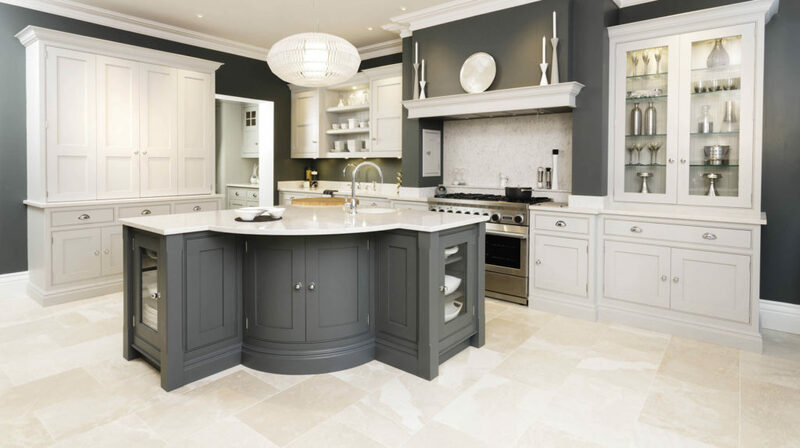 A feature that is further reflected in other elements of the kitchen." 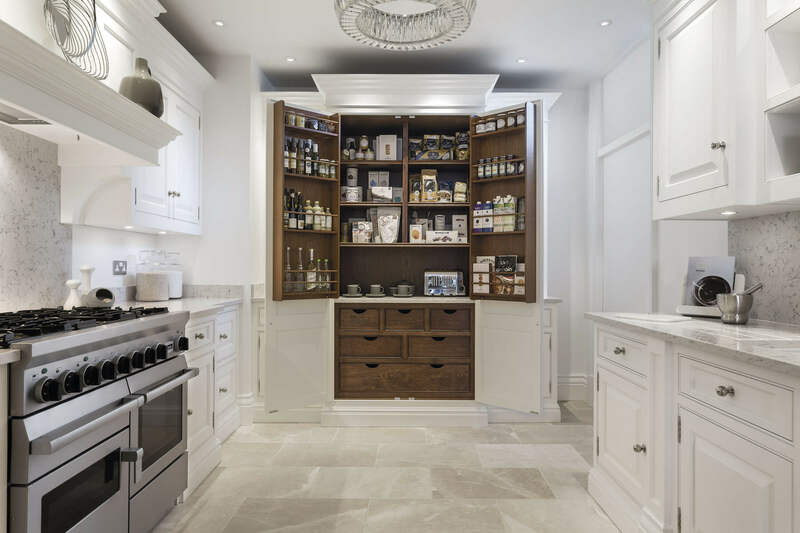 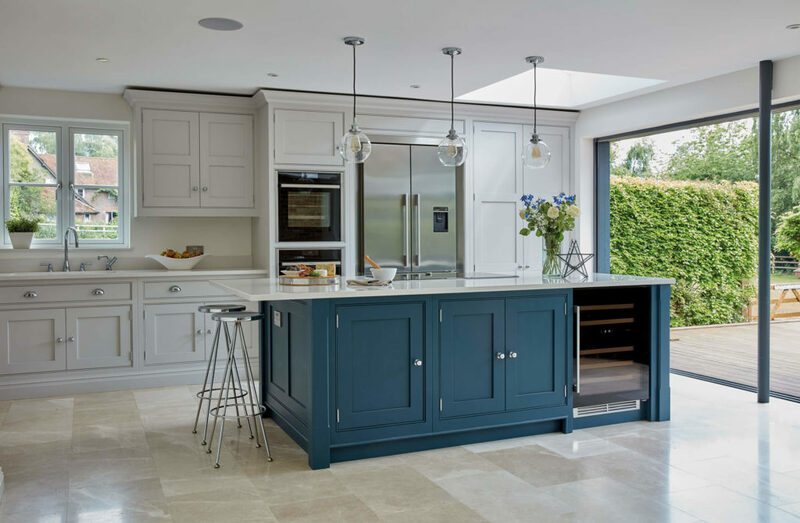 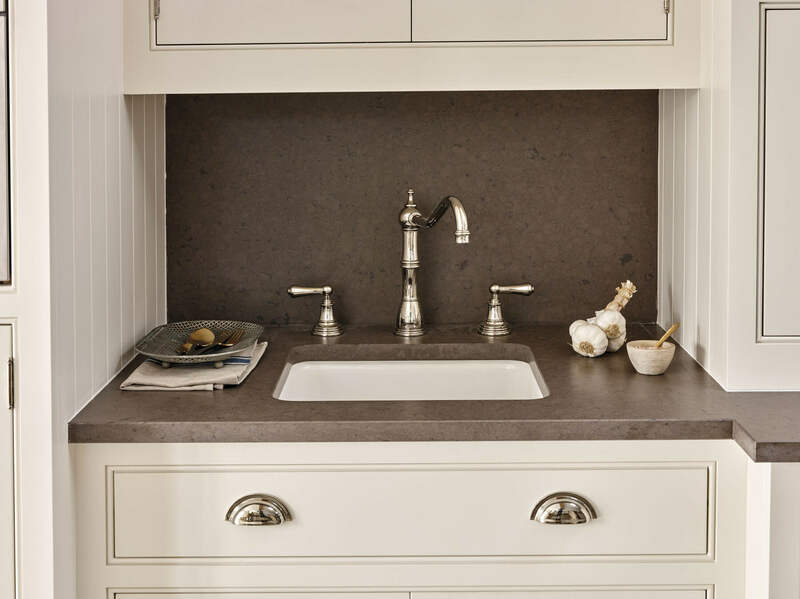 The Kavanagh collection is a sleek interpretation of a modern shaker style kitchen . 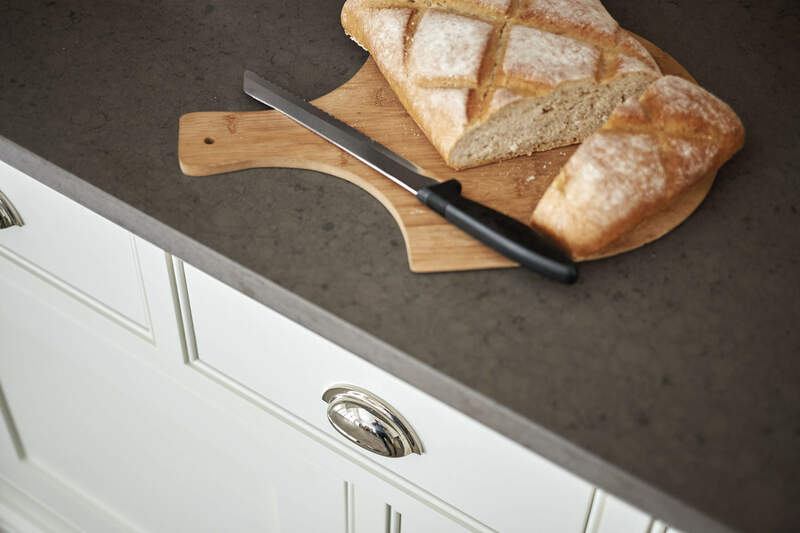 Designed to be distinctive yet understated, the Kavanagh is as inspiring as it is impressive. 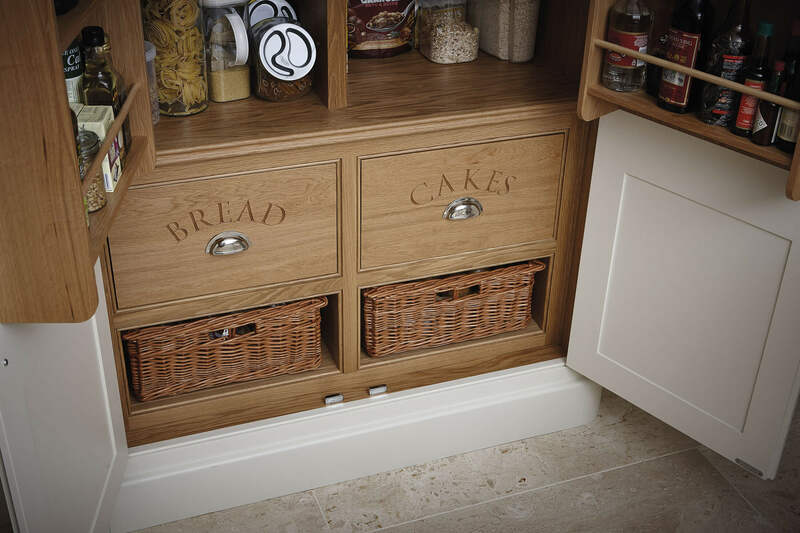 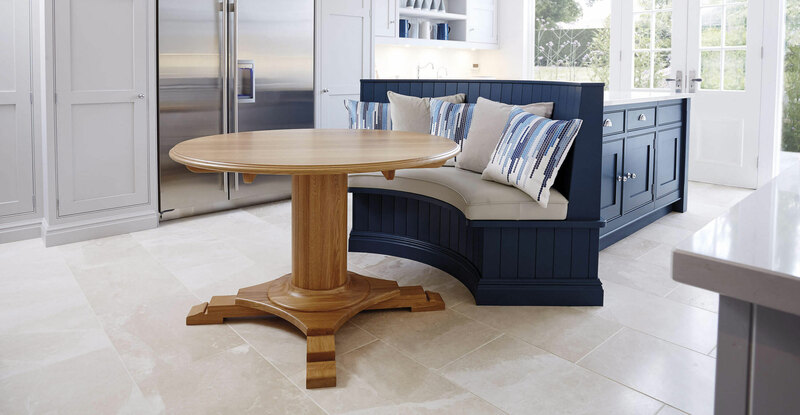 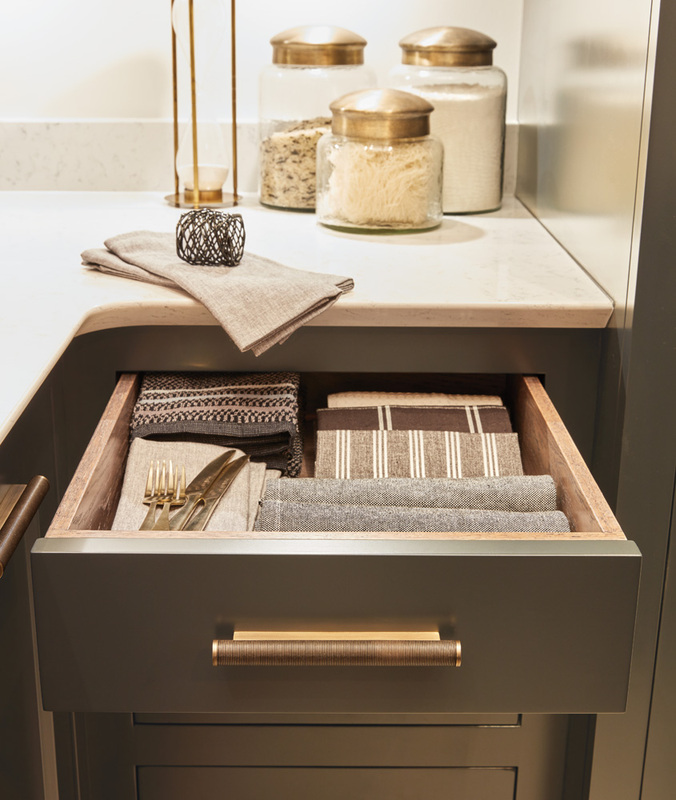 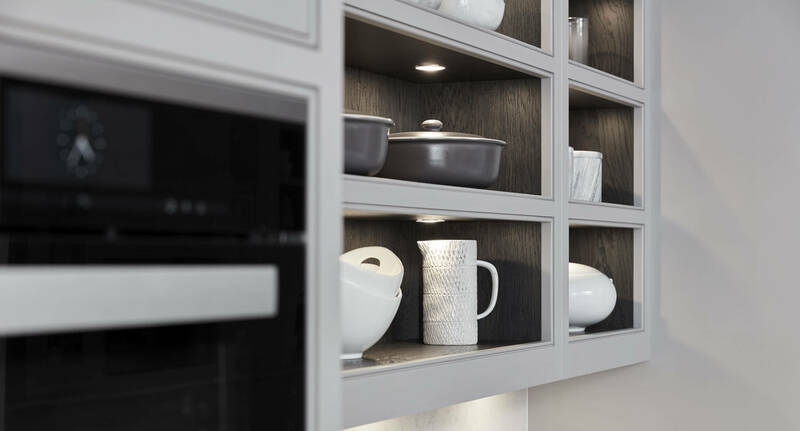 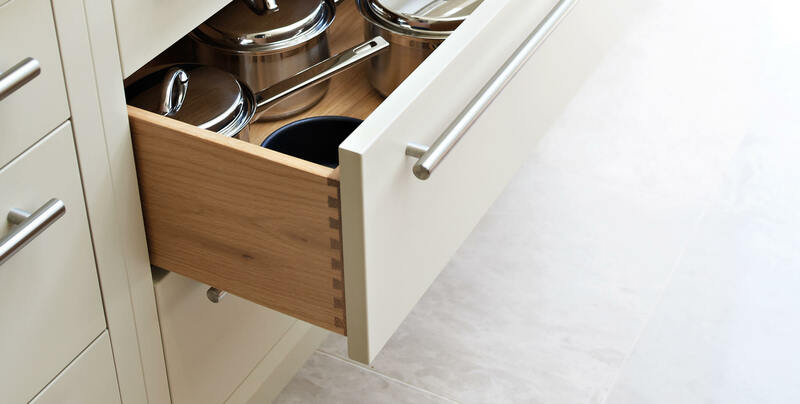 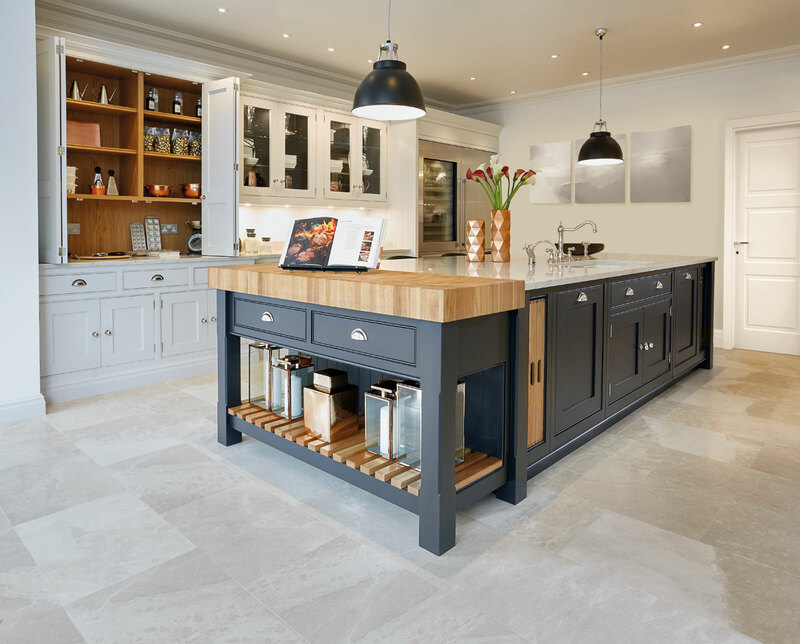 The compulsive attention to detail that’s apparent in this design is a hallmark of every Tom Howley kitchen in the collection.